We're bringing volunteering here at GSCCC to a whole new level. If you haven't had a chance to check out the new mobile-friendly www.gsccc.org website, we guarantee you'll love it. There are new features to help girls, parents and leaders plan their Girl Scout experience, such as the calendar and event listing. There's also a new way to search forms, and you will find the navigation experience intuitive. Starting in January, expect a few more elements to be added such as access to the awesome Volunteer Toolkit. We're always "here and anxious to hear" from you, so send your comments to customercare@gsccc.org. October is a special month when we celebrate the birthday of our Founder, Juliette Gordon Low. This year, we are inviting all Girl Scouts to make a gift in honor of your Girl Scout birthday. If you joined Girl Scouts in 1990, you would make a gift of $19.90. 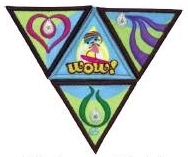 It is a perfect way to celebrate your Girl Scout birthday during this special month. Make your gift today. Created by Girl Scouts Heart of the South, the National Stand Beside Her Movement is a call to action initiative to mentor, support and develop women and girls; to end comparison and competition and create more collaboration and support for one another. The Stand Beside Her Movement culminates each year with National Stand Beside Her Week, October 30 - November 5, 2016, to encourage people to commit to supporting girls and women in their lives, their home, their office and in their community. This week was chosen to commemorate Girl Scouts’ founder, Juliette Gordon Low’s birthday on October 31. Have You Been a Girl Scout Volunteer for 20 or More Years? Girl Scouts of the Colonial Coast formally recognizes volunteer years of service of 20 or more years (in increments of 5 years) at the Annual Awards Luncheon. If you have served as a volunteer for 20, 25, 30, 35 or more years, let us know. The Annual Awards Luncheon will be held on Saturday, February 4, 2017, at the Hampton Convention Center following the Annual Council Meeting. Information and nomination form for the Volunteer Years of Service pin can be found here. Volunteers do wonderful things, and go above and beyond the expectations of their position. Take time to recognize these outstanding individuals by nominating them for a GSUSA national award. The deadline for nominations for the Thanks Badge (I and II), Honor Pin and Appreciation Pin is December 1, 2016, for volunteer service performed in the 2015-2016 membership year. Awards will be presented at the Annual Awards Luncheon following the Annual Council Meeting on Saturday, February 4, 2017, at the Hampton Convention Center. Information about the awards and nomination forms can be found here. This award was established upon the retirement of Buck Harris, a former executive director of the Virginia Tidewater Girl Scout Council. Buck dedicated her life to providing the finest in camping and outdoor education programs. This award is presented at the Annual Council Meeting each year and consists of a framed certificate and a certificate towards attending a GSCCC sponsored summer camp. To qualify for the award, a girl must be nominated by the girls in her troop, group or service unit or by an adult who is aware of her qualifications. As girls decide on their nominee, help them understand this is more than a popularity contest. This course will teach you the basic steps of shooting, preparing you to instruct archery courses for Girl Scout groups. Come to the "Getting to Gold" Workshop and meet the volunteer Girl Scout Gold Award committee. Girls - bring your questions and project concepts. Committee members will share tips to help you on your path to earning your Girl Scout Gold Award. There will be a session for parents, leaders and advisors to get information. Take this opportunity to ask questions that will help girls as they strive towards earning Girl Scout Gold. The Governor's Land 5k, Williamsburg, VA, October 29. Join the Girl Scouts of the Colonial Coast for the 15th Annual Governor's Land 5K Ghoulish Run for the Girl Scouts. This 5K Run/Walk and 1 Mile Fun Run will benefit the Girl Scouts of Colonial Coast Annual Giving Campaign. Saturday, October 29, 2015, registration and packet pick up begins at 7:30 a.m. The course is a fast, scenic, certified (Va-07030-RT)5K course through the Governor's Land residential community. Out-and-back on Two Rivers Road, with horseshoe loops of Horne's Lake and Whittaker Island neighborhoods on return trip. All paved roads. Fall is a great time of year, full of traditional and fun events and festivals celebrating the harvest season. Some of those events include giving out treats. Consider using our fall Girl Scout bookmark as a giveaway. Help connect more girls to the fun and adventure of Girl Scouting! This giveaway helps troops, too. It carries a special message about how the purchase of a Girl Scout fall product – nuts or candies – supports troop activities. Download for printing here. Register for a classroom First-Aid/CPR/AED training today by visiting the EMTA Enterprises website or Hampton Roads CPR and Safety website. Remember to ask the facilitator to sign your training card and remember to keep your certification card for your records. Receive a discount of 15 percent off entire purchase, when you show your “I Voted” sticker or Military ID. If you are unable to make it to the shops, feel free to call in your order, pay, and pick up at your convenience. Keeping girls and adults safe are our top priority! You can do your part by viewing the online Risk Management learning module. Troop leaders as well as volunteer support team members are required to view this online learning module annually. See the Volunteer Learning Progression on page 21 of Volunteer Essentials 2016-2017 for requirements. You will learn something new each year! Register on eBiz for the Risk Management online training before the next activity with your girls. Thank you to all the Girl Scouts who are planning to attend the Take Me Back Fashion Show. It is just about sold out. Because of the overwhelming response, we will open the Chesapeake retail shop on Sunday, October 30 from 3-6 p.m. Additionally, you will receive a 15 percent discount off your entire purchase during this special savings event. It is an awesome sale that you will not want to miss - start writing your shopping list now! The Girl Scout Program Basics course is to be completed by all troop leaders. View the online learning module, Girl Scout Program Basics, Part I, and then attend the face-to-face Girl Scout Program Basics, Part II, where you will use everything you learned in the online module to help guide your girls in planning their year and their troop meetings. Come back for S'more fun at the 2017 Cookie Classic 5K and 1-Mile on January 21, 2017! Join Girl Scouts of the Colonial Coast for the 3rd Annual Cookie Classic in Chesapeake, VA. The Trefoil Trek is a 5K starting at 9 a.m., followed by the Samoa Stroll Kid's 1-Mile at 10 a.m. This event is open to the public and Girl Scouts can meet badge requirements! For those that want to do S'more running, the Thin Mint Challenge includes both races to help get you through those mid-winter exercise blues. It’s not too late to join in the fun of the Fall Product program. If you are interested in participating please reach out to your troop leader or contact customercare@gsccc.org. For information on the Fall Product program visit our website (http://www.gsccc.org/Fall-Product-Program.aspx) . Come out and meet the volunteer Girl Scout Gold Award committee. Girls, bring your questions and project concepts. Committee members will share tips to help you on your path to earning your Girl Scout Gold Award. Committee members will be available to speak with parents, leaders and advisors on their role in helping to guide their girls in achieving the Gold Award. Take Me Back Fashion Show volunteers are needed on Sunday, October 30 to monitor displays and help the fashion show participants. Contact Veronica Thomas at winfredthomas@cox.net to volunteer. Are you interested in being a Cookie Cupboard? At this time, we are in need of cupboards for the Kempsville area and the Gloucester/Matthews area. If you are interested in being a Cookie Cupboard, please contact Chris Ramos-Smith at chrisr@gsccc.org for more information. On Sunday, October 30 from 3-6 p.m. the Forever Girl Scout Alumnae are hosting a Take Me Back Fashion Show at A Place for Girls in Chesapeake. We are looking for Girl Scouts from Brownie to Ambassador level and adults to model the uniforms in our collection. If you are interested in being a model for this event, contact Betsy Kessler at eakeler@verizon.net for more information. Are you affiliated with a local school? You could be a school representative! Establish a relationship with school administrators and parent organizations. Already a PTA member or room parent? Perfect! Share information on upcoming events at the school. Does the event need volunteers? Is there an opportunity to have a Girl Scout table at the event? Let us know and we’ll help to find coverage. 28 Students - 28 Nations. Become a Student Diplomat Today! Represent one of the 28 NATO Member Nations while participating in a mock session of NATO's North Atlantic Council. Achieve consensus among fellow Student diplomats while addressing a crisis modeled after real world issues such as piracy, cyber-security or immigration. Develop your skills in diplomacy and leadership, as you are mentored by NATO Military Officers. Join us at Camp Skimino to participate in a fun and educational program that will allow you to complete your Brownie WOW Journey. This event is a money earning activity for Girl Scout Ambassador Troop 292. Register via Eventbrite to get started. Adults may be asked to stay onsite to meet girl./adult ratios. Contact Shannen Sager at lalareb3@gmail.com for additional information. Every three years, national delegates representing each council in GSUSA gather for the National Convention and conduct business at the National Council Meeting. Attend all local orientation and preparation meetings prior to the National Convention. Study the National Council Meeting agenda. Understand Girl Scouts of the Colonial Coast’s stance on actions to be taken by the National Council (delegates may vote independently, based on the best interests of Girl Scouting as a whole). Sesame Street Live Presents "Elmo Makes Music"
Sesame Street Live is coming to the Ted Constant Center this October with "Elmo Makes Music". When the new music teacher's instruments go missing, Elmo, Abby Cadabby, Big Bird and more come to the rescue and discover instruments they never knew existed. Children learn that everyone can make and enjoy beautiful music together! Saturday, October 15, 2016 at 10:30 a.m.
Saturday, October 15, 2016 at 2 p.m.
Sunday, October 16, 2016 at 1 p.m.
Sunday, October 16, 2016 at 4:30 p.m.
It’s not too late to join in the fun of the Fall Product program. If you are interested in participating please reach out to your troop leader or contact customercare@gsccc.org. For information on the Fall Product program visit our website. Minimum group order is 15 tickets. Deadline for group orders is November 18. Scout discount only valid for show on November 25 and 27. Additional fees may apply. Minimum group order is 15 tickets. Deadline for group orders is January 13. Scout discount only valid for Friday, January 20 show. Additional fees may apply. Minimum group order is 10 tickets. Deadline for group orders is March 3. Additional fees may apply. Due to inclement weather, all GSCCC offices and shops will be closed Monday, October 10, 2016. With the uncertainty of the weather this weekend, all GSCCC offices and shops will be closed Friday evening, October 7 through Sunday, October 9, 2016. Jordan Bridge Walk: 1-3 p.m.
Due to impending inclement weather this weekend, the Elizabeth River RiverFest has been rescheduled to Sunday, November 20 from 11 a.m.-4 p.m. The "One Flock" art unveiling will be at 12:15 p.m. that day. 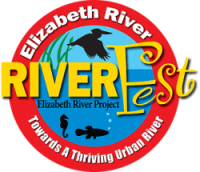 Learn more about the Elizabeth River Project and the RiverFest here. Founded in 1977, Women in Transportation Society (WTS) is an international organization dedicated to building the future of transportation through the global advancement of women. Boasting more than 6,500 members - both women and men - WTS is helping women find opportunity and recognition in the transportation industry. Through its professional activities, networking opportunities, and unparalleled access to industry and government leaders, WTS is turning the glass ceiling into a career portal. Women in Transportation Society (WTS) fosters the development of women and girls in the transportation field by encouraging bright new professionals and students to undertake careers in the area of transportation. One way it does this is by awarding the WTS Transportation YOU High School Scholarship to girls pursuing high school studies in science, technology, engineering and math. Transportation YOU is a hands-on, interactive mentoring program that offers young girls ages 13-18 an introduction to a wide variety of transportation careers. Help at the Suffolk Peanut Festival - Earn the New Council Recruiter Patch! We’re super excited to have a booth at the Suffolk Peanut Festival this year and we need your help! Adult volunteers and girls are needed to cover a few slots at the booth. You’ll chat with people about joining Girl Scouts, play a little Plinko with them and hand out prizes all while earning the new Council Recruiter patch. We have vendor passes available for use during your shift. Contact Jillian Sweetland at jillians@gsccc.org to let her know you can help. Spend $75 or more during a visit to our Shop October 1 – October 15 and receive a $10 coupon to spend on a purchase of $25 or more from November 1–18. One $10 coupon will be issued per qualifying order per visit in store. Orders over $75 will generate one (1) $10 coupon regardless of merchandise total. Each coupon is redeemable separately on an order totaling $25 or more. Only one coupon code can be redeemed per transaction and must meet the $25 minimum order threshold. October 28, 29, 31: Celebrate Juliette Gordon Low’s Birthday! Receive a discount of 15 percent off entire purchase. Cannot be combined with any other offer.